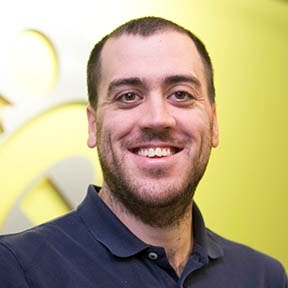 My name is Tony Figueiredo, I work at the IT helpdesk here at Businessolver and one thing you should know about me is, I'm an avid cyclist. Before I lose you, let me explain why that is important. You see, cycling to me is almost all I do outside work. So you can imagine my excitement when I was told that not only could I ride RAGBRAI this year, but I could do it for work. Game changer. Let’s flash back to 2012; I was 295lb, I had high blood pressure, high cholesterol, and doctors were telling me I'm high risk for diabetes. Plus, heart problems run in the family, I was surrounded by bad news. At this juncture, all I could think was, “I'm 26, and that’s far too young to have all these health problems." With this thought stuck in my head, I put on my helmet and started biking. To be honest, at first, I hated it. Thankfully, I have an amazing support system that kept me going. They would be there riding with me early mornings and after work, keeping me positive; and wouldn't you know, diet and exercise started working! 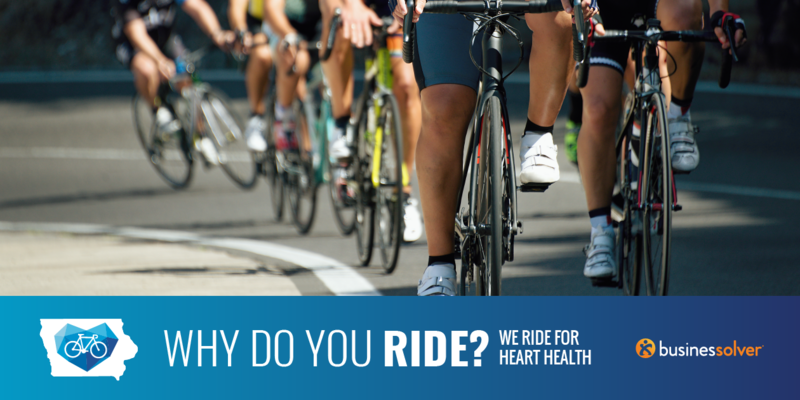 My blood pressure dropped, my cholesterol numbers are healthy again and I'm still pedaling. 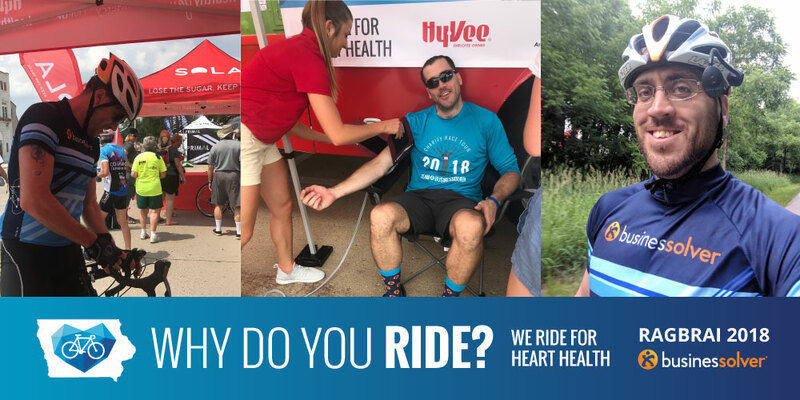 Alright, back to the present and my excitement about Businessolver letting me ride RAGBRAI, teaming up with Hy-Vee and American Heart Association. I'm getting an opportunity to do what I love and also spread the messages that helped me change my life. 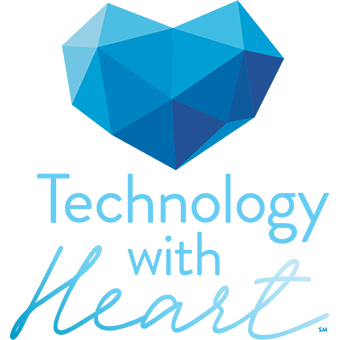 Now, I have a healthy heart and my life is focused on keeping up my healthy lifestyle. So, how do we start this journey? Last Thursday, the 100 days until RAGBRAI celebration kicked off our road to riding across Iowa! We brought our RAGBRAI booth to Businessolver with Hy-Vee and American Heart Association and topped it all off with the first Businessolver bike club ride of the season. Hy-Vee showed up with their blender bike and dietitians for tips on healthy smoothies. American Heart Association was doing blood pressure checks and giving out helpful information. Solvers came out to enjoy the weather and the healthy activities. It pretty much couldn't get better, but it did! Next up, bike club was ready to ride. Being able to bike 20 miles around town with co-workers that are just as fired up to be biking was the highlight of the week. The only thing better is knowing that starting in May, we are doing it once a week every week. I'm excited for this chance to ride RAGBRAI, and even more excited to be able to ride with friends from work and my cyclist community. So, 20 miles to RAGBRAI are done and I’m super excited to ride with everyone in the coming weeks to keep training and riding toward RAGBRAI.